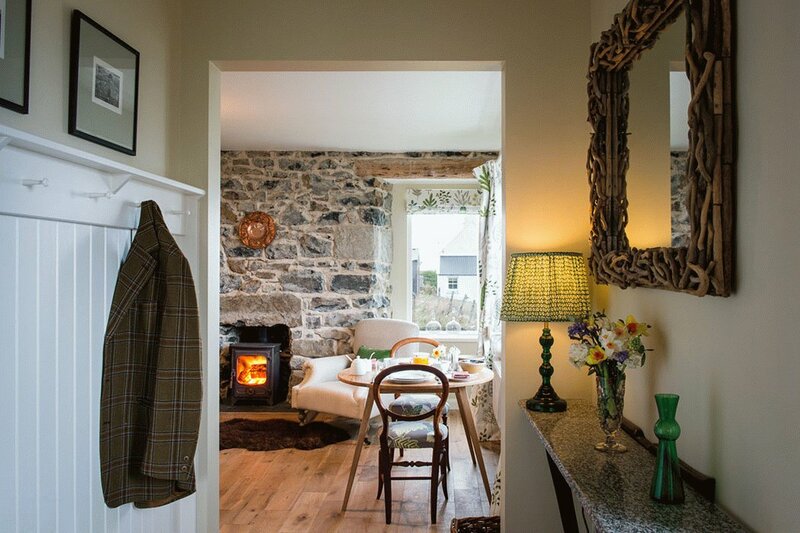 Would you like to live in your very own little island idyl, away from the madding crowds and perpetual rat-race; somewhere so peaceful and tranquil you could truly believe that time has forgotten you altogether? 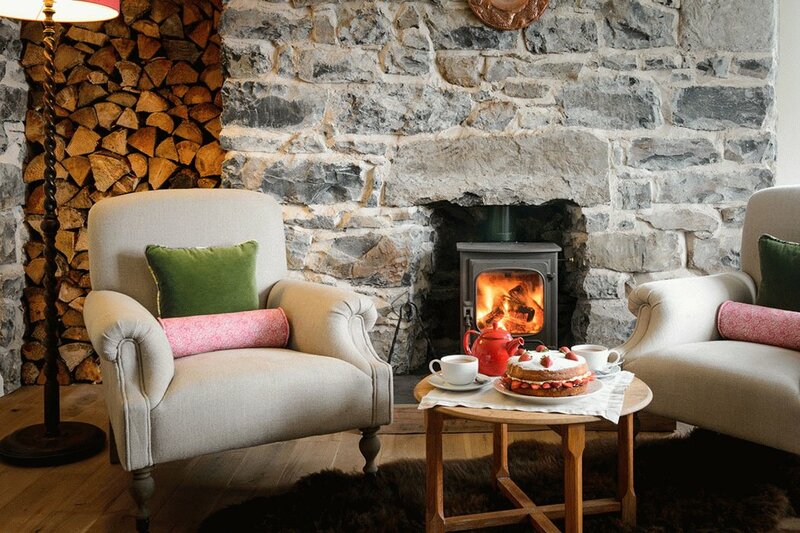 Then a stay at Mint Croft Luxury Bed and Breakfast on the Isle of Skye is the ideal getaway for you. 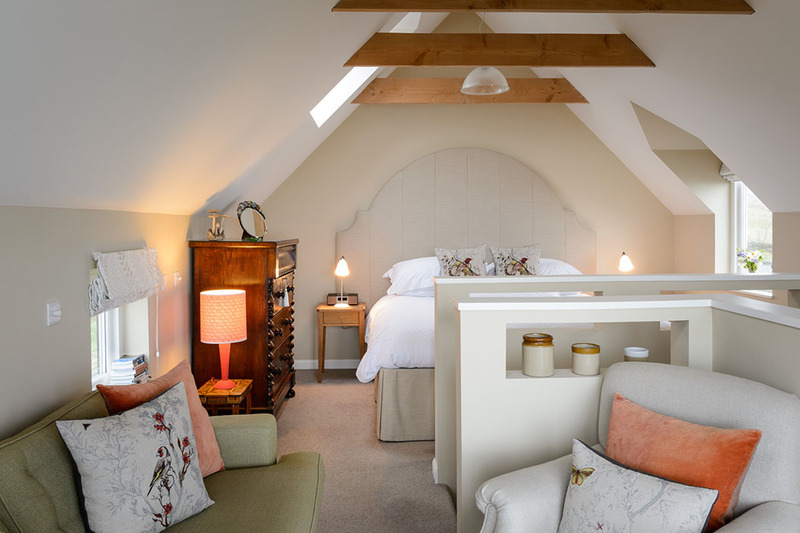 This beautiful little luxury boutique guest house has been lovingly and stylishly restored and decorated, without losing any of its rural charm, by owners: Shaz and Ali Morton and it’s a real credit to them. 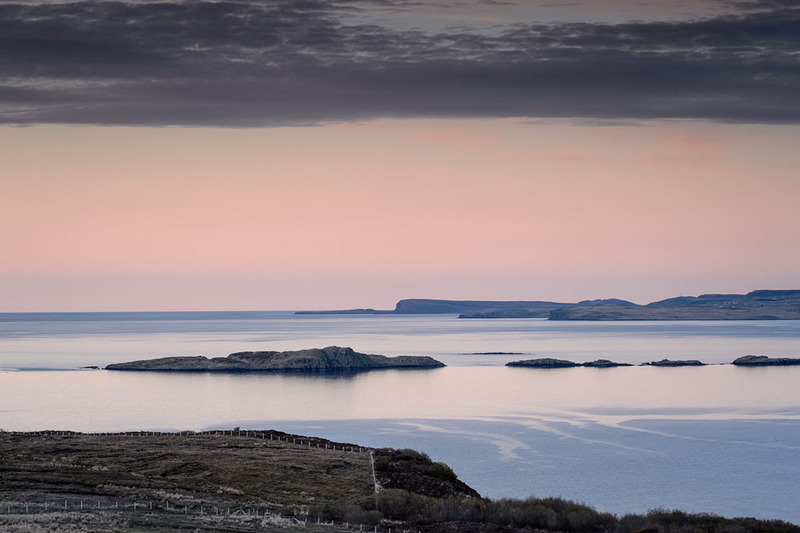 Situated in North West Skye, near Dunvegan and surrounded by breathtaking, panoramic sea views across to the Islands of Harris and Lewis beyond, this secluded hideaway really is where nature meets luxury. 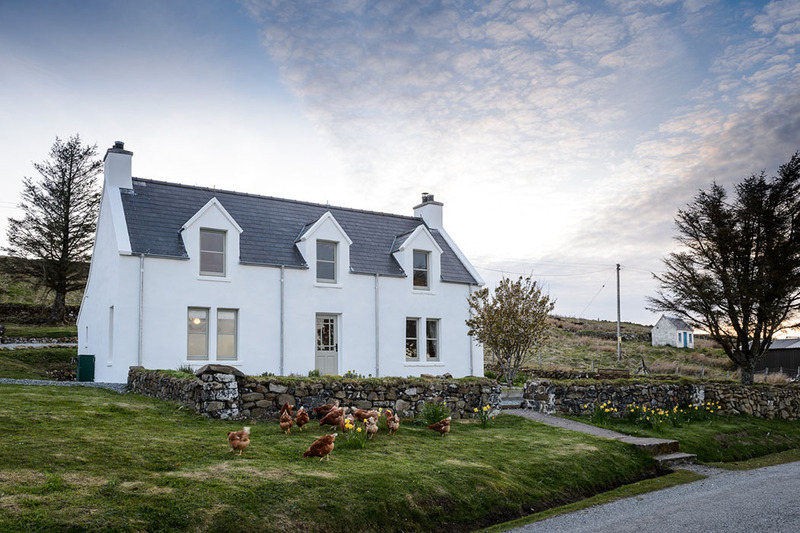 This boutique bed and breakfast is hidden within restored Highland buildings that look traditional and nothing out of the ordinary on the outside, but when you venture within they reveal their unexpected contemporary interiors that perfectly combine modern design with unique antiques and perfectly placed object d’art. 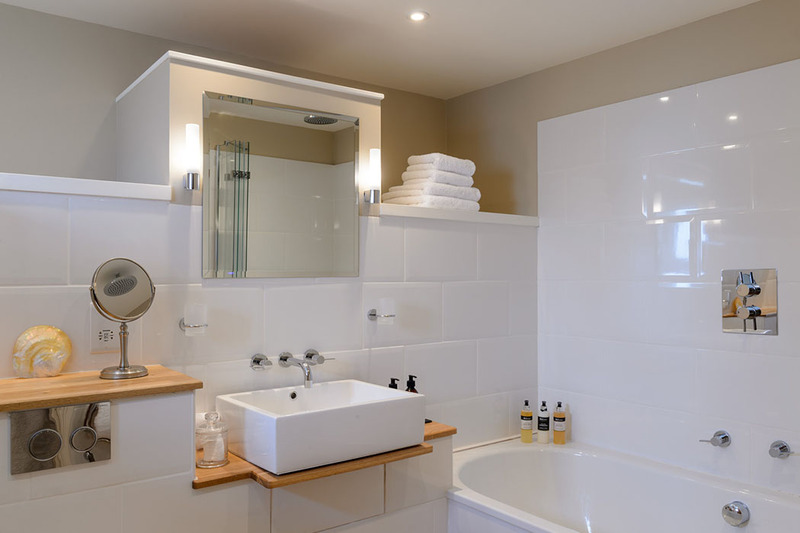 As a guest here you have the choice of two individual, stone-built bedroom suites, each with their own front door and sitting area which give you total peace and privacy. The Stone Store Bedroom Suite is more of a two-storey bedroom apartment with large picture windows offering stunning views out to the cliffs and beach beyond. Inside you will find a visually separated bedroom and sitting area as well as a bathroom with a large tub and rain drench shower. 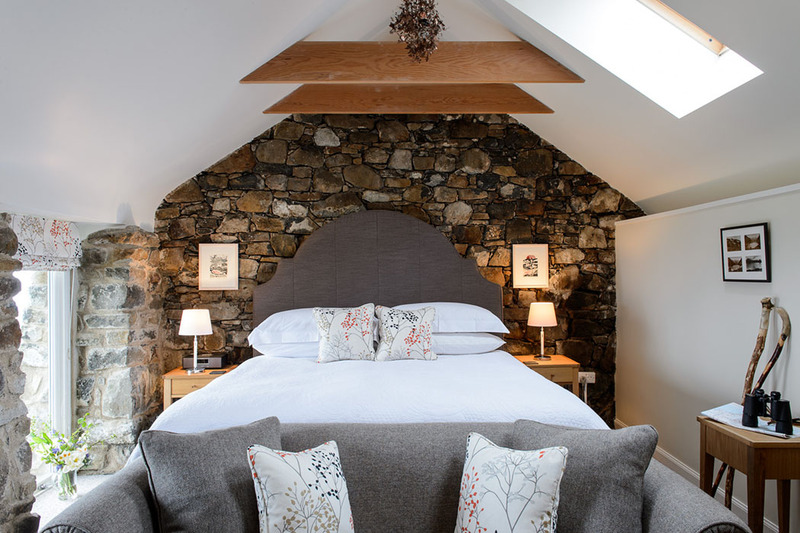 The second suite: The Blackhouse Bedroom Suite is all on one level and features floor to ceiling windows with magnificent views as well as walls that are almost a metre thick, making for a very cosy stay indeed. 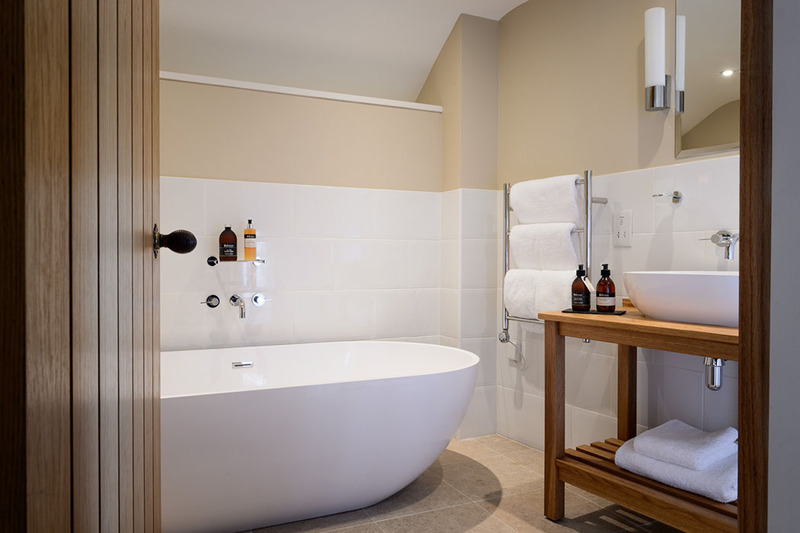 Again you find the living and sleep spaces visually separated and the suite offers a bathroom with a huge, freestanding stone bath and separate walk-in, rain drench shower. Whichever suite you choose you will enjoy a very comfortable super king size bed that you can get lost in; crisp Egyptian cotton sheets and down duvets; big fluffy towels and bathrobes; locally made organic toiletries; a Nespresso coffee machine; mini fridge; flatscreen TV with DVD library; iPod dock and radio; a wide range of reading material about Skye as well as thoughtful little extras like binoculars, locally made walking sticks and maps. In addition to your own little apartment you can enjoy the welcoming guest sitting room and library in the main Croft House where you will find your welcoming hosts always on hand if you should need them. 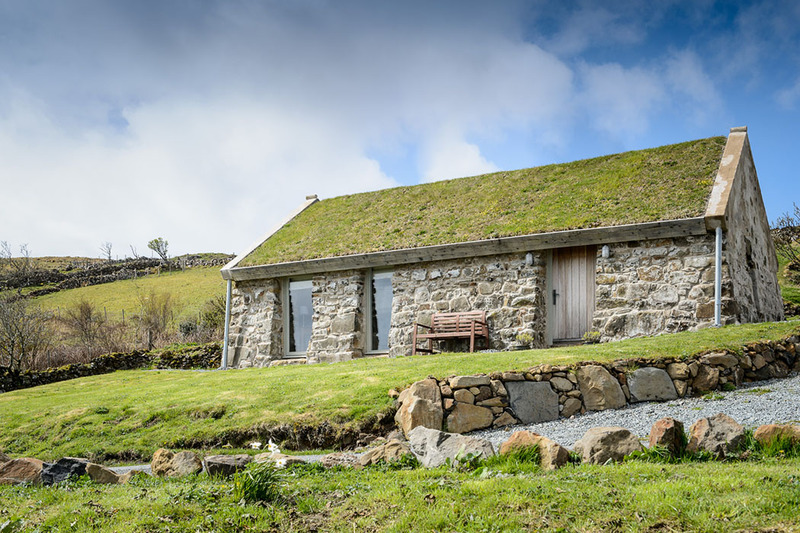 Fare at Mint Croft Bed & Breakfast is, as you would expect: a real delicious, hearty, seasonal taste of the Highlands and Islands using only the very best of local produce. As part of your stay package you will enjoy complimentary breakfast and afternoon tea. Breakfast will truly set you up for the day (and you probably won’t need a bite till afternoon tea!) 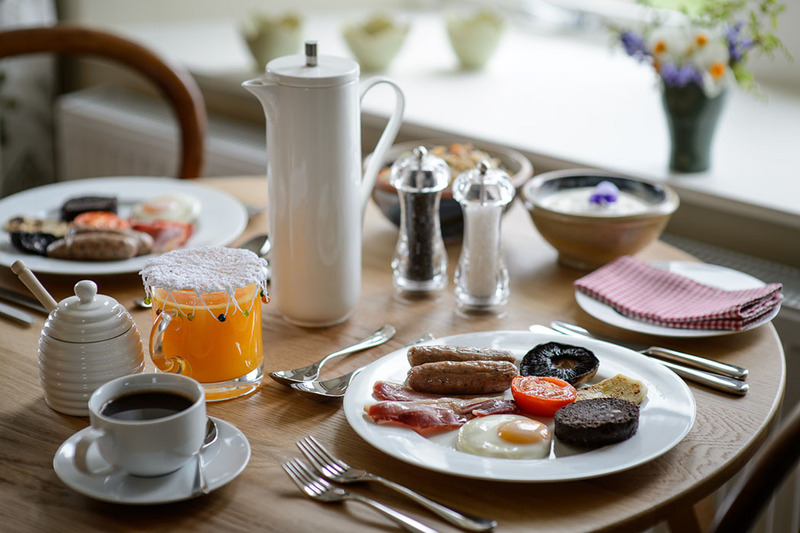 with everything from porridge, pancakes and preserves to the Full Skye Breakfast (Stornoway black pudding, tattie scones, Skye sausage and bacon, roasted vine tomatoes, sautéed mushroom and Mint Croft eggs) all washed down with copious amounts of freshly ground coffee and tea! Afternoon tea is served at 4pm and includes delicious home baked cakes and shortbread courtesy of Shaz. In the evening Skye has a number of seafood restaurants, inns and lodges to choose from and Ali and Shaz will happily point you in the right direction. Dining Tip: For those guests staying between November to March, Shaz also cooks up a delicious three course dinner that really shouldn’t be missed! Whilst visiting this beautiful part of the world there are plenty of activities to keep you busy including: bracing cliff-top and coastal walks, plenty of wildlife to spot, castles to discover as well as shops, museums, restaurants, live music, craft making and local events that take place throughout the year. If for no other reason, you should visit Mint Croft for it’s incredible food, but quite frankly there are too many reasons to recount from the beautiful unique suites through to the warmest and friendliest of welcomes. Whatever reason you choose, just make sure you go!